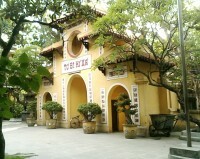 Hỏa Lò Prison was designed by Auguste-Henri Vildieu and built by the French in 1899. 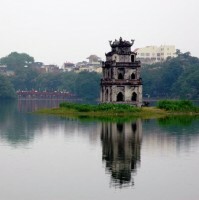 Quan Su is one of the most important temples in the country. Constructed in the 15th century along with a small house for visiting Buddhist ambassadors, in 1934 it became the headquarters of the Tonkin Buddhist Association, and today it is headquarters for the Vietnam Central Buddhist Congregation.